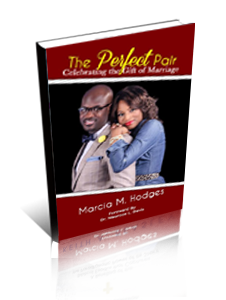 The Perfect Pair is a great “REALITY” book for married couples and anyone aspiring to be married! Like every little girl growing up, Marcia wanted to get married and experience an immediate happily ever after. However, after saying “I DO” her marriage seemed far from happy. For years she found herself unhappy, unsatisfied, lonely, and even depressed. Was this the end of her dream marriage? Longing to experience a fulfilled marriage, Marcia dedicated herself to learning how to celebrate her marriage in every area.